Grosh's Lawn Service Premium Lawn & Landscaping Service is the industry's best valuein Clear Spring, Hagerstown, and Williamsport, Maryland. The daylight hours are getting longer so we hope you are taking advantage of getting outdoors and enjoying the sunshine and warm temps. Just think back to January 5, 2018; it was 8 in the morning with the wind blowing out of the northwest, the weather with wind-chill factor was -13 Yes, it was that cold here in Clear Spring,Maryland! So take time now to be outdoors enjoying the nice weather. As it warms up, remember to correctly water your new trees and shrubs (once the rain stops falling). Also, you may have noticed that some perennials are finished blooming for the year. Let Tom and the team take care of them in the coming weeks. Feel free to email Tom and we will be glad to stop by and get the perennials trimmed back and all old foliage removed. ADD SOME GREEN TO YOUR WALLET, AND YOUR FRIEND'S LAWN, WITH A YARD SIGN! 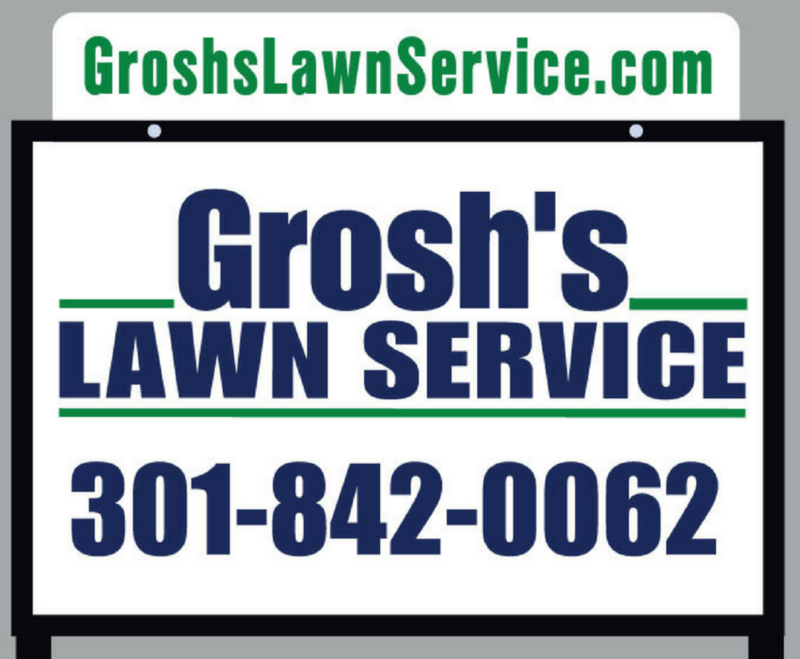 Have you given any thought to having a new Grosh’s Lawn Service sign in your lawn or landscape bed at your home, office, or commercial property? Helps us get the word out! Remember if you refer a friend, family member, employer, co-worker, or Facebook friend toGrosh’s Lawn Service, you will receive a $25.00 gift card to Amazon or your favorite restaurant. It is that easy to help us GROW what we LOVE to MOW! We love to hear from our clients, so send us an emailwith any question, concerns, and of course, leave us a review! Thank you to Kenneth and Julie Carbaugh for the referral of the new lawn care client! Kenneth and Julie received a $25.00 Olive Garden gift card for the referral. Wouldn’t you want a $25.00 gift card to Olive Garden, or another restaurant or store you like? Just refer someone to Grosh’s Lawn Service and when your referrals sign up for one or more of our services, we will send you that gift card. 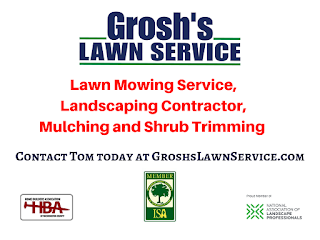 Another thank you to Danny Sterling for allowing us to place a Grosh’s Lawn Service sign in his lawn, and agreeing to have Grosh’s Lawn Service care for his lawn mowing and lawn care treatment needs. We also would like to thank Rodney Smith and Smith & Sons Automotive for allowing us to place a Grosh’s Lawn Service sign in his lawn and having Grosh’s Lawn Service care for his lawn mowing needs. 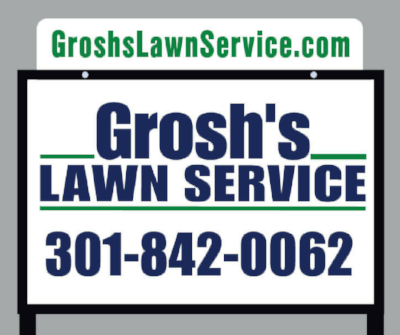 Would you agree to placing a Grosh’s Lawn Service sign in your lawn? 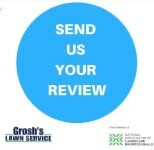 Email Tom@GroshsLawnService.com today to let Tom know your lawn is available. Thank you! Shrub trimming has started in Williamsport, Maryland and surrounding areas. The good news is that you still have time to schedule your shrub trimming and shrub pruning to help keep your shrubs looking their best all season long! Did you know that some shrubs can bloom a second time if you have Tom and the team trim them at the correct time? Don’t delay and give Tom a call at 301-842-0062 to schedule your shrub trimming. 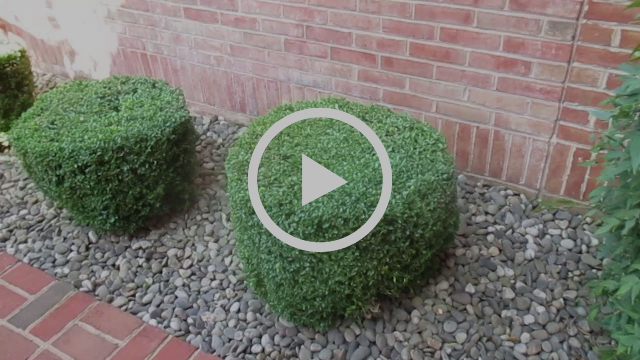 Take a few minutes and watch Grosh’s Lawn Service YouTube video on shrub trimming in Hagerstown, Maryland at one of our client’s home. There are still a couple of days to get your grub preventative down to stop any damage that the grubs may do this season! The Grosh's Lawn Service team uses grub control on our own personal lawns each year to protect our grass from grub damage. Yes, we believe it is well worth the cost. We have worked many hours to get our lawn looking beautiful and we do not want to waste what we have invested in our lawn. Grub preventer is a very low cost insurance to protect your lawn. 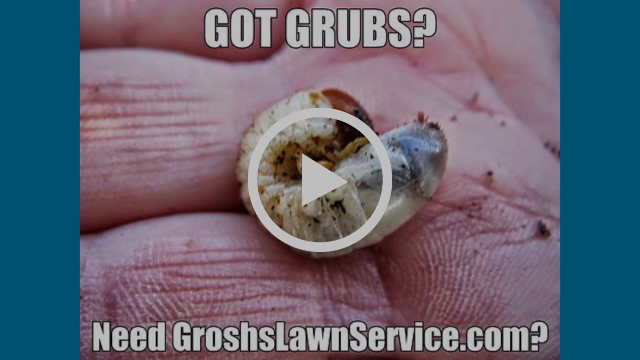 Just take a few minutes and look at the grubs Tom has found while working on the lawns and landscape here in Washington County, Maryland. Notice the size of the grub? Are your trees and shrubs being eaten by the Japanese beetles here in the Hagerstown, Maryland area? Does your crape myrtle have Japanese beetle damage? 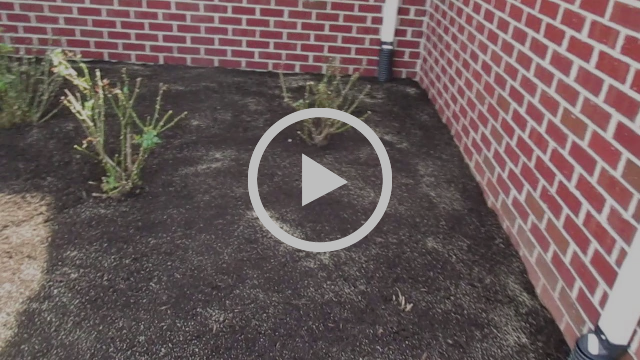 Are your roses showing signs of damage due to Japanese beetles in Williamsport, Maryland? Did you know that you should never place a Japanese beetle trap close to your trees and shrubs? Placing the trap close to trees and shrubs will attract the Japanese beetle to that area. Set your Japanese beetle traps at the corners of your property to attract the Japanese beetle away from your trees and shrubs. 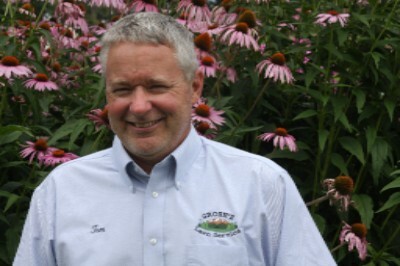 However, if you want to stop the Japanese beetle damage, Tom and the team from Grosh's Lawn Service can spray with insecticides to kill the beetles. Email Tom now to schedule your tree and shrub care services. 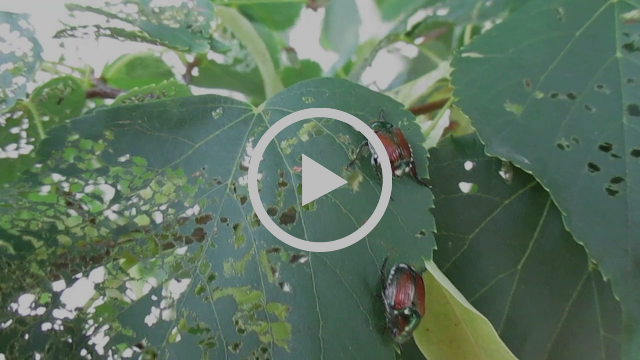 Take a few minutes and watch Grosh’s Lawn Service YouTube video on the damage Japanese beetles have done to our clients’ trees and shrubs here in Washington County, Maryland. Did you know that you can combat these mosquitoes by removing all standing water, no matter how small, here in Washington County, Maryland? Mosquitoes can procreate in any amount of water within 24-48 hours, so the easiest way to stop mosquitoes is remove all standing water. Don’t have a flower bed near your patio or deck? Try these plants in containers to get the benefits of natural mosquito control. We use marigolds, lavender, and catnip at our farm in Clear Spring with great success. We will be glad to add any of these plants to your gardens or design a landscape area that will have these plants incorporated into it. Make sure that the weeds in your landscape beds do not mature and go to seed or you will have a much greater weed problem in the months to come. With June’s warm temperatures overnight, the weeds will grow more rapidly! Grosh's Lawn Service offers weed control services for your home, outdoor living space, commercial property, church grounds, etc. Email Tom@GroshsLawnService.com to start this monthly service. However, please know we do not offer bi-monthly landscape bed care as this allows the weeds too much time to grow, mature and go to seed in the 8 weeks between services and will not be an effect method of weed control. Check out our YouTube video to learn more. 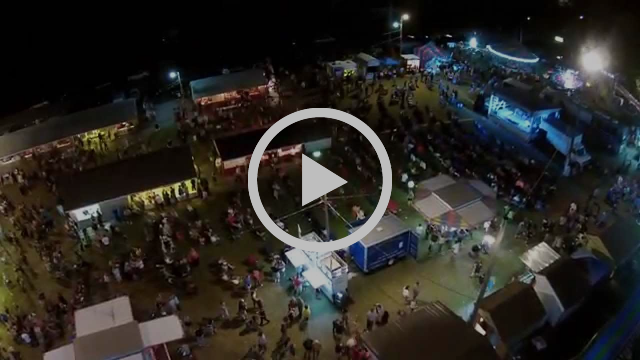 Check out this aerial view of the Clear Spring Carnival, and make sure you get your pre-sale ride tickets from any local business or firefighter. Mark your calendars, this year's carnival is July 30-August 4, 2018 in Clear Spring, Maryland. Copyright © 2018 Grosh's Lawn Service, All rights reserved.